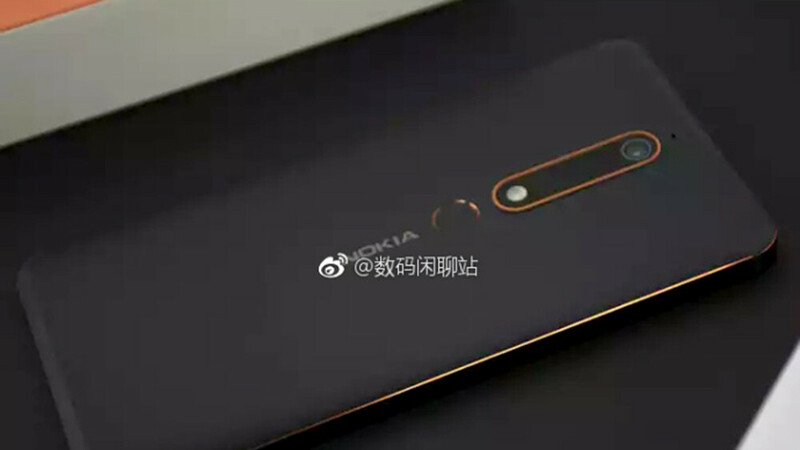 New-fangled Nokia fans already know that the company is prepping itself to reveal a refreshed version of its Nokia 6 soon, uninterestingly dubbed the Nokia 6 (2018), which will be boosting things up with a a speedier series-600 chip, more RAM, and up to 64GB of native storage. The rest of the specs so far seem to be the same as the ones of last year's regular Nokia 6. Supposedly, the slightly-revamped Nokia 6 could see the light of day as early as tomorrow, January 5, though that's merely a speculation just yet. Just like that, however, a bunch of seemingly official device renders have popped up in the blogosphere, giving us a sneak peek at what we expect the refreshed Nokia 6 to look like. As you can see for yourselves, there's nothing outrageously-innovative going on in terms of design - for most intents and purposes, the new phone looks just like its predecessor, except for the rose gold outline around the camera module and the frame, which is an interesting touch. We will know more as soon as the device goes official, which could be tomorrow. that gold black is a nice touch. I doubt this phone will come with a Snapdragon 600 Series SoC, unless The Nokia is gunning for Xiaomi. My bet is on The Snapdragon 450 built on 14nm that's clocked at 1.8Ghz. For comparison; the 430 in the current Nokia 6 is clocked at 1.3Ghz and is built on 'ancient' 28nm architecture. In any case; fingers crossed for this one and the forever coming Redmi Note 5! G'Day! You’re wasting your time with him. That guy doesn’t go by facts when it comes to handset makers he doesn’t like. I think they are going after the Moto g series with this one especially if it comes with a snapdragon 600 series SOC. Fingerprint scanner seems to be located on the back of the phone. You have a great vision. Thanks for informing us about the fingerprint scanner location. What's with that wide empty space between camera and flash? Did they want to use dual camera and then cancel it? I’m eager for the official release. I thought they were supposed to be using a dual camera setup for the Nokia 6 2018.... Still, it’s every bit as gorgeous as it’s predecessor.